Mary Newport has much reason to celebrate these days. After helplessly watching her 58 year old husband rapidly degenerate into severe dementia only 5 years after MRI diagnosis with Alzheimer’s, Dr. Newport decided to pursue unorthodox treatment of his condition with virgin coconut oil (not refined!) instead of the expensive drug Axena which has the drawback of producing intestinal distress in some patients and wears off within just a few hours of ingestion. Mary Newport, a neonatal pediatrician at Spring Hill Regional Hospital in Florida, learned through research that the active ingredient in Axona is MCT, also known as Medium Chain Triglycerides, a saturated fat used to treat epilepsy as well as in neonatal feeding programs. Since Virgin Coconut Oil (VCO) is loaded with MCTs, Dr. Newport began an intensive feeding program for her husband that consisted of a mixture of 2 TBL virgin coconut oil and the MCT pharmaceutical isolate with every meal. Interestingly, this regimen also assists with sensible and steady weight loss. Within 35 days, Steve Newport’s rapid neurological decline was arrested and 18 months later he had recovered enough brain function and normal behavior to test as only a mild case of Alzheimer’s – the same tests which before starting the VCO feeding program had indicated that he was borderline severe dementia. As a bonus, Steve Newport’s cholesterol profile has improved significantly by adding this healthy saturated fat to his diet with good cholesterol (HDL) going up and bad cholesterol (LDL) going down. Dr. Newport now travels all over the United States relaying the remarkable story of her husband’s recovery from borderline severe dementia using VCO to essentially rebuild his brain. She is a strong advocate for continued research into the use of MCTs as a therapy for those with Alzheimer’s, Parkinson’s, multiple sclerosis and other debilitating neurological diseases. Dr. Bruce Fife, author of Stop Alzheimer’s Now, recommends VCO instead of MCT drugs such as Axona because the drugs become ineffective over time, wear off quickly, have side effects and cause free radical damage to the cells. 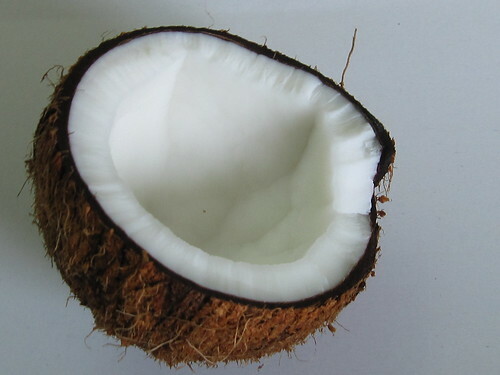 When the MCTs in virgin coconut oil are converted into ketones they act as a super fuel for the brain. This super fuel provides energy to the brain as well as stimulates healing and repair. It is the chemical structure of the MCTs in coconut oil that allows them to pass the blood-brain barrier which ordinary food or oils cannot. If someone you love is suffering from a neurodegenerative illness, help them by adding virgin coconut oil to their diet! The research is showing what Traditional Cultures such as those in the Pacific Islands have known for centuries – coconut oil helps keep you healthy! To source, please refer to my healthy shopping list page which identifies companies that offer only the finest organic Virgin Coconut Oil from sustainable sources available in convenient coconut oil capsules too!